Gone are the days of “Lance Corporal don’t know,” and the “Lance Corporal salute.” Today’s Marine Corps E-3s are smarter, faster, stronger and more tech savvy than the old salts from years gone by. They are the iGeneration, seemingly raised with a cell-phone fused to their fingers at birth. They are more familiar with Snapchat and Instagram than cable TV and VHS tapes. They are a digital generation, and they fit uniquely and seamlessly with the Marine Corps’ vision of a connected ‘strategic corporal,’ ready to fight and win America’s battles as much with technology and ingenuity as with bullets and pure grit. The bedrock for tomorrow’s Marine leaders is the ability to make sound and ethical decisions in a world flipped on its head during the past two decades. The weeklong training is required for all lance corporals vying for a blood-stripe and much-coveted place in the NCO ranks. The Marine Corps’ Enlisted Professional Military Education branch instituted the program in 2014 to “bridge the gap between the initial training pipeline and resident Professional Military Education,” according to the seminar’s Leader Guide. The seminar prepares junior Marines to face the challenges of an evolving, uncertain and dangerous world 19 years into the 21st Century. Enlisted PME is a central component for measuring an enlisted Marine’s leadership potential and their fitness for promotion, regardless of rank. The seminar is usually a first term Marine’s introduction to formal military education and sets the tone for future PME courses as NCOs and staff NCOs. 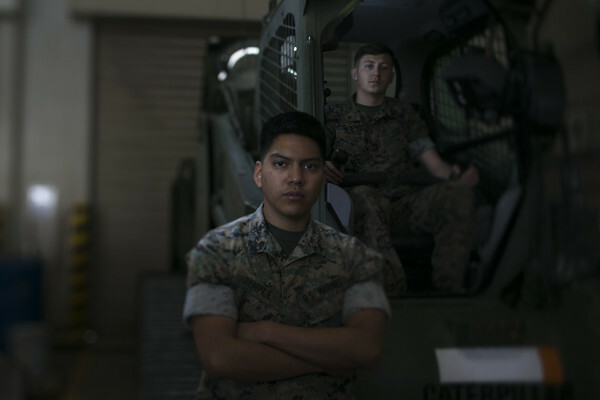 The guided discussions and scenario-based training is designed to help junior Marines to think critically before acting instinctively, according to 19 year old Lance Cpl. Dylan Hess, a mass communication specialist with the 31st MEU and a student in a recent seminar. The lessons learned during the seminar will help tomorrow’s leaders refine their leadership ability, according to Hess.